The genuine high capacity black Canon 719H toner cartridge gives you more toner for your money and is ideal for handling large print volumes. 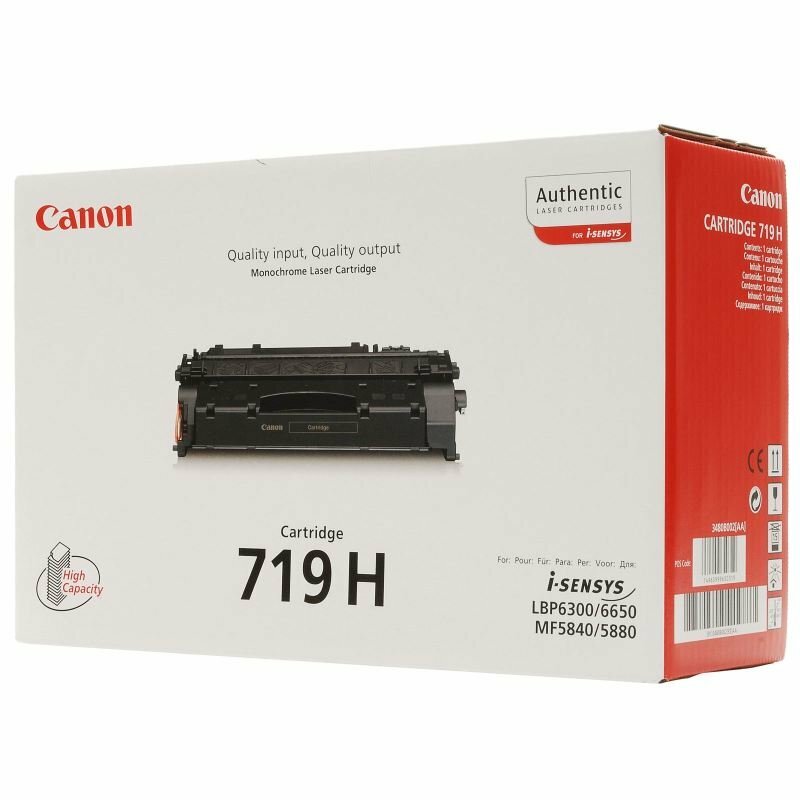 This original Canon 719H printer cartridge is packed full of high quality Canon toner and will last you a lot longer than the regular cartridge. Black toner often gets used up quickly in a busy office environment but this high capacity black Canon 719H cartridge allows you to print for extended time periods, reducing interruptions, minimising waste and inreasing your productivity. Featuring a compact design, the Canon CRG719H toner is an all-in-one cartridge that combines the toner and drum components into a single cartridge for easy and affordable maintenance. Designed to print approximately 6,400 pages, this high capacity black Canon 719H cartridge provides continuous high quality output and delivers you documents at a low cost-per-page.